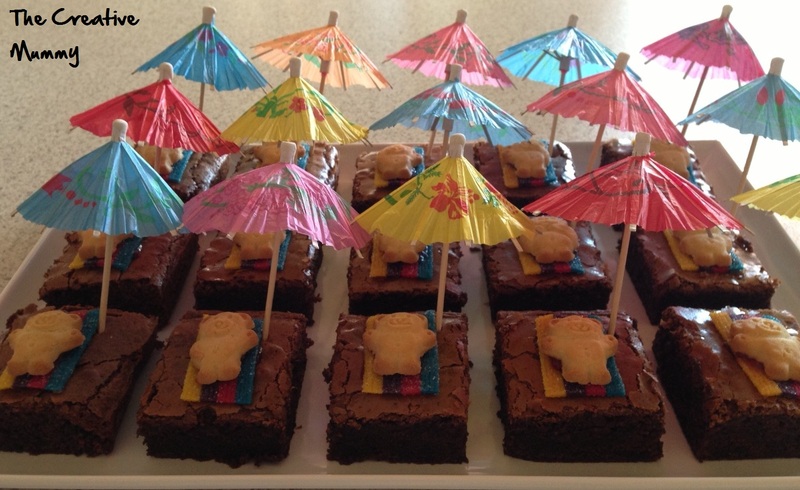 On the weekend I made these brownies for my nieces pool party. I used my chocolate brownie recipe and simply added these cute decorations. For the recipe please visit my post on Chocolate Brownie Recipe I have recently added the Thermomix conversion to this recipe. I simply cut the sour straps into three. Place a little bit of jam to stick the strap onto brownie, add jam onto the back of teddie and placed it onto the strap. Assemble umbrella and push it into the corner of the brownie. Too easy and sooooo cute! My pleasure, they were fun to make!